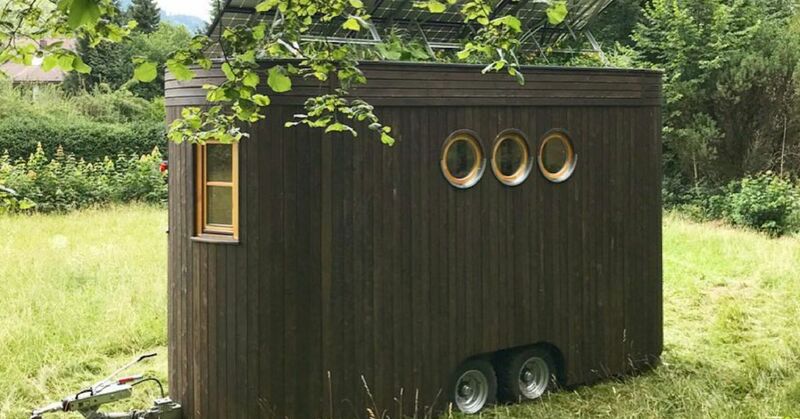 the back of this tiny home is unique you should see the front and the inside . 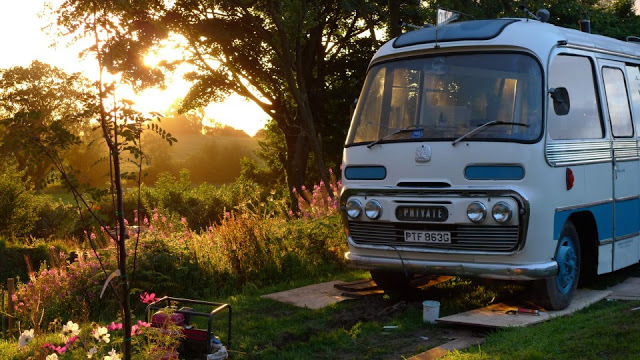 It's Everyone's Dream to Stay in This Comfy Tiny Bus Home . Word on the street these days is downsizing, maybe you have even thought of downsizing or have downsized into a smaller living arrangement recently. So why is downsizing such a trend lately when the cultural norm in North America is to live largely? Sakura Tiny House. A Custom Built THOW That Will Impress . Tiny homes as we know them have come a long way in the last several years, evolving from a more cutesy, handmade aesthetic into a growing diversity of styles, and constructed with a growing array of new building techniques. These diminutive dwellings are also being made for colder climates, as we see in this impressive modern home built for a client by Minimaliste, a tiny house company from Quebec, Canada. It features a lot of smart small-space design ideas, from the seating area to the bedroom. Minimaliste’s founder Philippe Beaudoin gives a tour of the Sakura tiny house below . Tiny Traveling Farmhouse by Tiny Heirlooms Perfect for a Family . The MIMA Light Tiny House Looks Like It Is Floating Above the Ground . 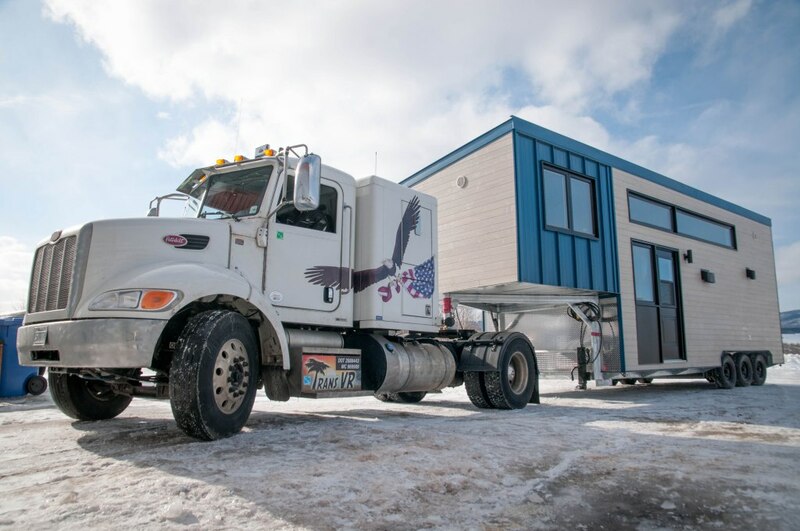 Coming in at 380 square feet, the Sakura’s biggest draws include the convertible sitting/dining area, a large bedroom, a large-ish soaking tub, a three-level water filtration system, and the hydronic radiant heating in the floors.